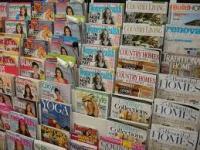 Our newsagency stocks over 1000 different magazine titles covering all categories for you to browse and purchase. We offer a putaway service whereby your requested title is held for your collection with an SMS or email sent to you alerting you that it is now available for collection. If we don't stock the magazine you seek we are always happy to order it in.